Microscope World Blog: What are Algae? Algae are simple organims that do not have vascular tissue. Brown algae is the only exception. The reproductive structures of algae do not have a protective layer surrounding them. Algae are photoautotrphic, which means that they produce their own food through photo synthesis (using sunlight, water and CO2). Euglena is an exception to this rule, as they ingest other organisms for food because they do not have chloroplasts. Similar to plants, algae contains chlorophyll. However, not all algae would be classified as plants. Algae is best viewed through a high power light microscope (also known as a compound microscope or biological microscope). 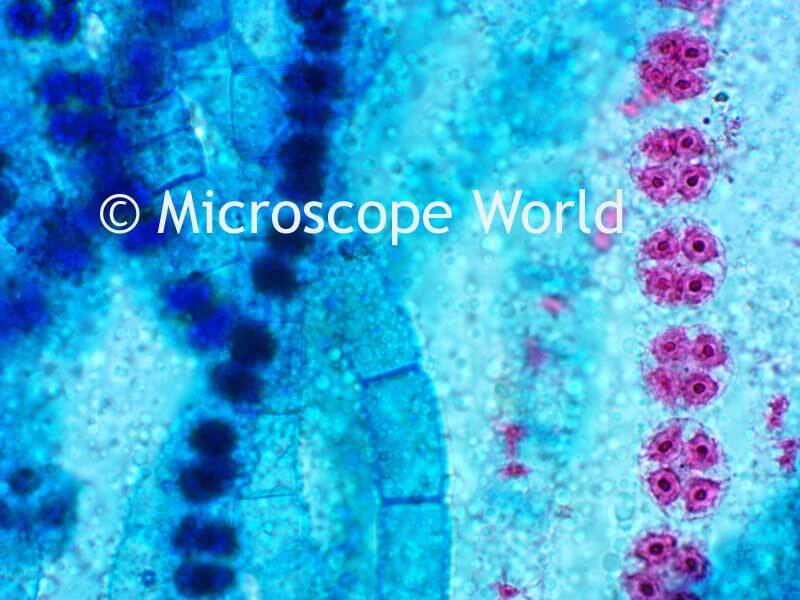 Green algae captured at 40x magnification with the BA310 microscope and a 5mp microscope camera. 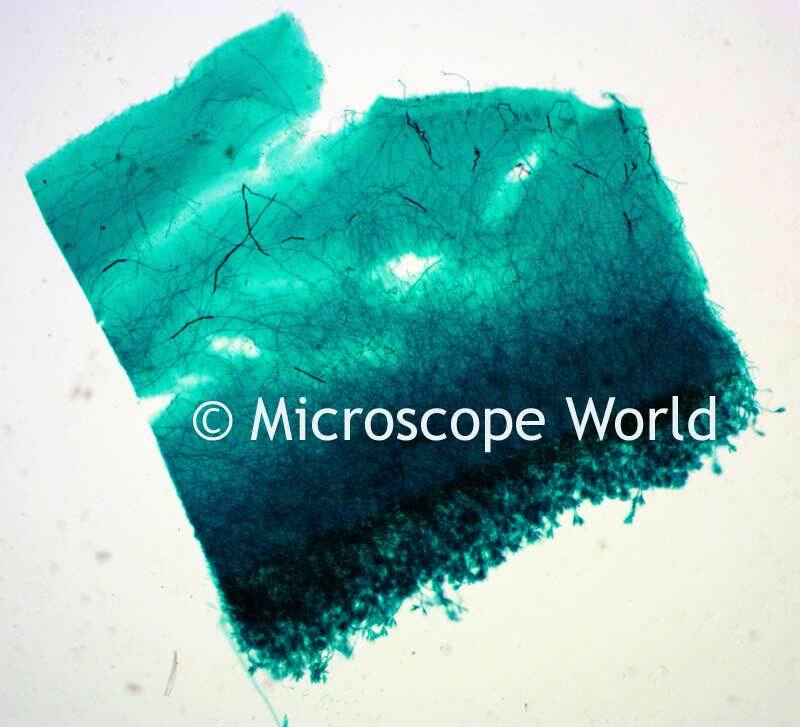 Blue green algae captured at 100x magnification with the BA310 microscope and a 5mp microscope camera.